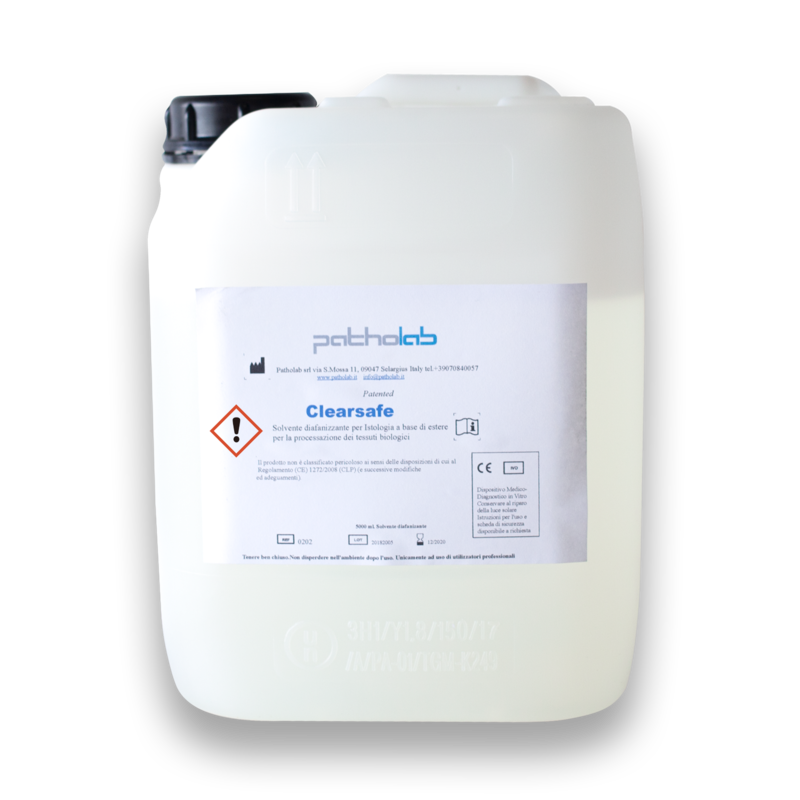 CLEARSAFE is a clearing ecological solvent, substitute of the xylene. A patented non-toxic solvent, with a low environmental impact, for use in histology for biological tissue processing and staining. Clearing performance equal or superior to xylene. Absence of any hydrocarbon derived from petroleum, Isoparaffin and D-limonene. Low impact on the professional environment in accordance with the European Framework Directive on Safety and Health at Work. Colourless, Light Odour and 88% Biodegradable. Effectively improves morphology of the histological tissue. In immunohistochemistry it enhances the chromogenic definition. It allows using any molecular biology method after processing. Usable with the HistoProcess 300 tissue processor, enabling faster processing in emergency anatomic pathology or to face the requirements for Transplant Centers. Compatible with all commercially available mounting media. Compatible with all tissue processors and automatic stainers available in the market.